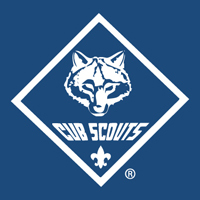 Cub Pack 88 is part of the Bald Eagle District in the Susquehanna Council of Central Pennsylvania. Sponsored by the St. James Lutheran Church, Pack 88 services Montoursville and the greater Williamsport area. We welcome boys and girls in grades K-5 to join our program. Activities are planned year-round and we work around family’s busy sports and personal schedules. Cub Scout-age boys and girls benefit developmentally from belonging to a group of children their own age. Through this sense of belonging, scouts build self-esteem and learn to get along with others. As a parent, you want to be assured that the groups that your child joins will teach values consistent with good citizenship, character development, and physical fitness. The Boy Scouts of America has been weaving these lifetime values into fun and educational activities since 1910. One unique thing about Cub Scouting is that you, as his family, join in on the program with your son or daughter, and you will help them along the way. Cub Scouting exists to support your family and help enrich your family time together.